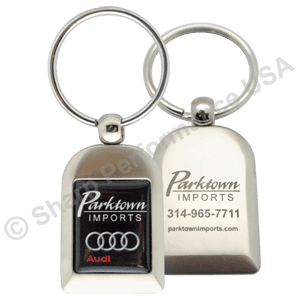 K082 - Metal Key Tag w/ Pearl Nickel Finish | Sharp Performance USA Inc.
One of our most popular items! Features a large logo area on both sides. Front Side: Recessed; Full color epoxy domed logo, engraved metal insert, or embossed leather insert on front.